Many of your neighbors have called it quits, but for you and others who still have a boat at the ready, November offers chances for a great day on the water. For those with the patience to watch and wait for that calm day between fall storms, there are rewards.Sometimes Mother Nature cooperates with good weather on a Saturday, but often it’s a window on a weekday, with the spoils going to the victor who is rigged and set to go on a day’s notice when the forecast turns favorable. 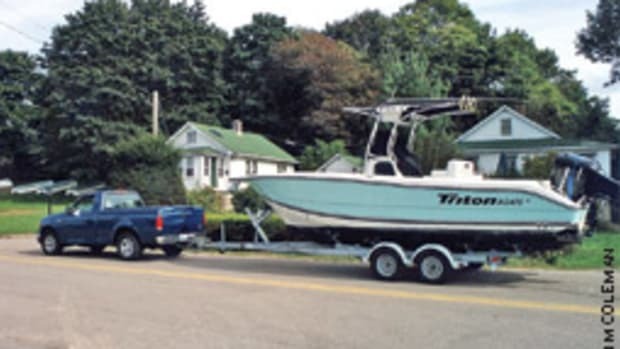 Along the Northeast coast, boats will leave marinas and ramps from New Jersey up through New England, and near the point of departure we can start fishing. It always pays to have some casting tackle on board, perhaps rigged with 4- or 5-inch plastic shads. These are easy to cast and have great action, calling in late-season bass or blues lingering around that rocky island just outside the channel into Norwalk, Conn., or maybe some of the Jersey jetty fronts or perhaps the center wall of Point Judith, R.I. All might offer fishing opportunities for those eager to start a cool morning right out of the gate. 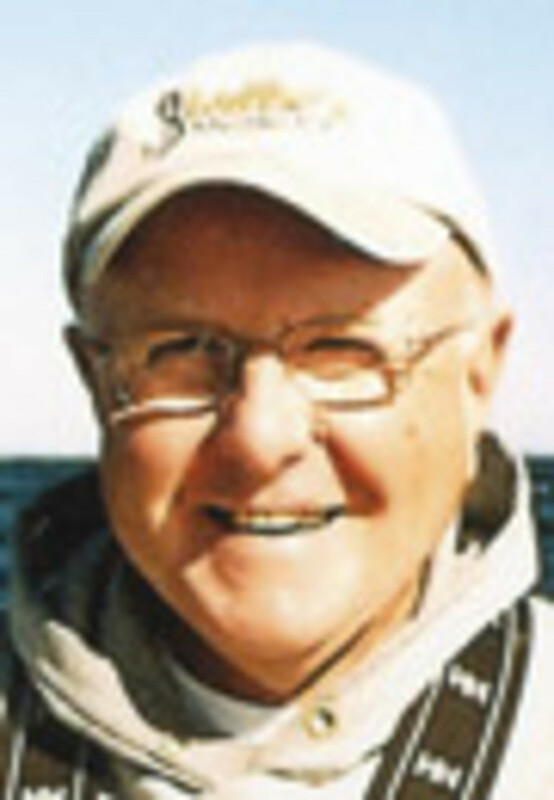 Through the years, I’ve written about numerous trophy stripers caught on late trips, such as the 47-pounder caught on a lure cast into the pilings around Napatree Point near Watch Hill, R.I., or the 40-pounder caught casting into the surf off Squibnocket, Mass., both before leaving for bottom fishing for blackfish later in the day. The rocky bottom inside Fishers Island Sound, close for boats coming out of the Pawcatuck River and nearby Barn Island Ramp in Connecticut, always produces big blackfish in the fall, some of them exceeding 15 pounds. Ditto for the rocks and wrecks at the entrance to both Vineyard Sound and Buzzards Bay, easy steaming in today’s fast rigs from time spent casting on the southwest corner of Martha’s Vineyard. Anglers with fast boats coming from the ramp at Plymouth, Mass., might stop off Gurnet Point or farther to the north looking for November mackerel. Or they might crank up their considerable horsepower and make short work on a calm day on the run out to Wildcat Knoll to jig for jumbo pollock, hard-fighting fish that are acceptable on the table — although many people put them a distant second to haddock or cod. 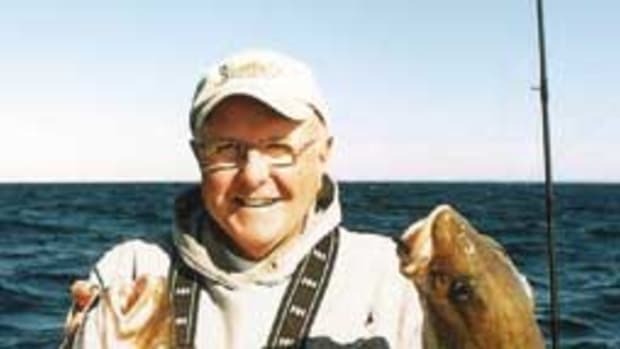 Boats coming from Boston or points north and south can fish for haddock at spots east of Stellwagen Bank or other areas if the cod season is closed until spring. A cooler full of tasty haddock, a fish many locals consider the best eating of all, is a great way to end the season with a meal the next night and fish stocked away for a cold evening in the dead of winter. 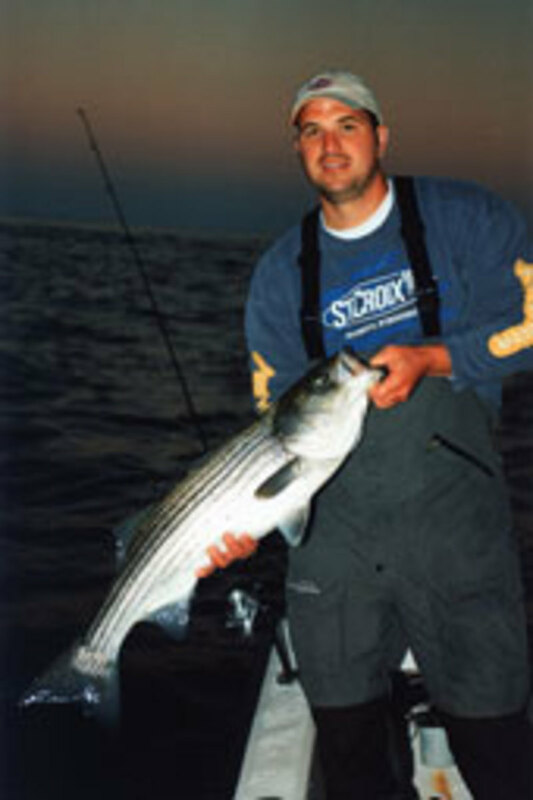 After trying your luck casting around the Norwalk Islands, you can run into the middle of Long Island Sound looking for birds working over schools of bass and blues migrating to the west, usually easy targets for a diamond jig dropped down and reeled speedily to the surface. New Jersey anglers can do the same or head up to the rocky bottom off Long Branch and Sea Bright to troll lures for bass and big blues heading south. 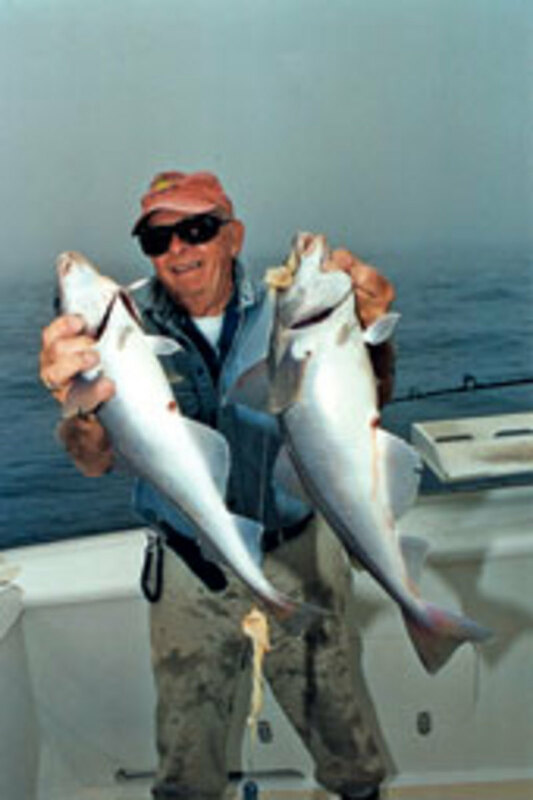 New Jersey anglers also have the option of switching gears from bass and blues to bottom species on one of the fine artificial reefs from Sandy Hook to Cape May. 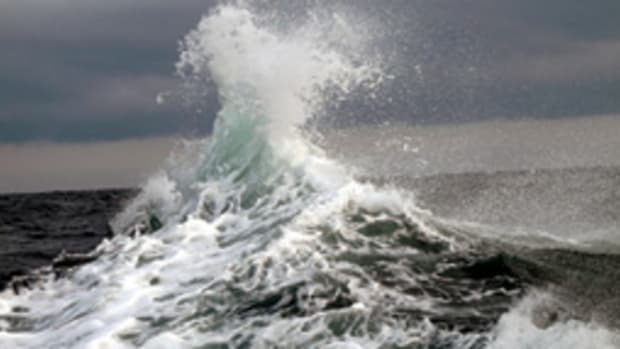 Most of them are within reach of safe ports if the weather goes south earlier than predicted. Our November is also brightened by a winter cod fishery developing around Block Island and some of the old favorite wrecks south of Shinnecock, N.Y., and places farther east. 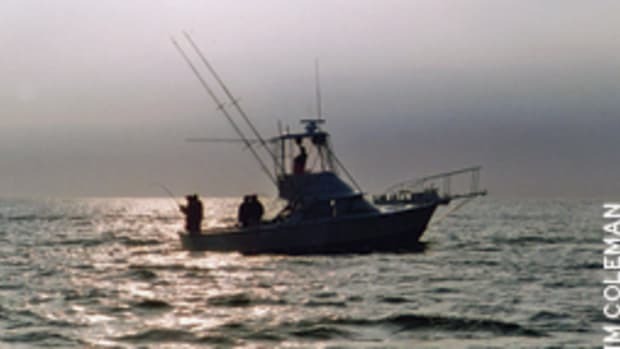 Party boat websites and newspapers reported some large cod caught on day trips all along the south side of Long Island and into northern New Jersey. The GPS numbers for many of these places are public knowledge, published on wreck charts and dive books for sale at marinas and dive shops in both states. Some of these places are best fished with an invitation from a friend in a larger boat with a cabin and enough hull underneath you to be a safety margin if the fickle weather turns. It’s one thing to be on the wreck of the Golden Eagle, a fishing boat scuttled not far off Long Branch, N.J., and quite another to be out on the Sea Rover, a long ride from Shinnecock. This is the time of year when fishermen in open boats bundle up for the ride over to Montauk, N.Y., from eastern Connecticut, often when they first arrive. 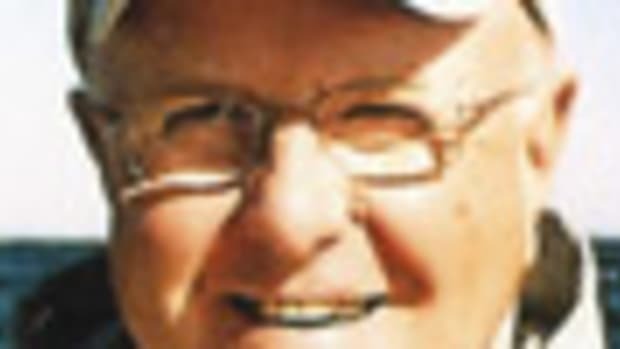 Or maybe they have to hunt a bit, finding bass breaking into the bait farther down the south side, maybe just outside the surf line on a day when the prevailing north winds change into a mild southwest flow. The rocky bottom around the Frisbees and Cartwright Grounds over to Southwest Ledge and the Apple Tree offer good chances for sea bass, or possibly jumbo blackfish, late in the year. 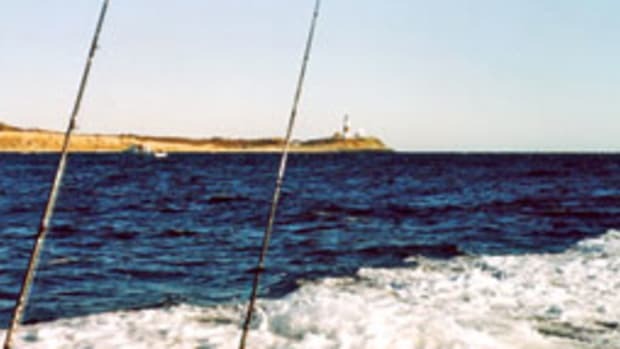 Cerberus Shoal, between Montauk and Fishers Island, is often the scene of November blackfish — same goes for the north sides of Plum and Gull islands, that fishery sometimes lasting well into November. If you’re in the neighborhood, why not try some bucktailing in the famed Race on the way home from Montauk? 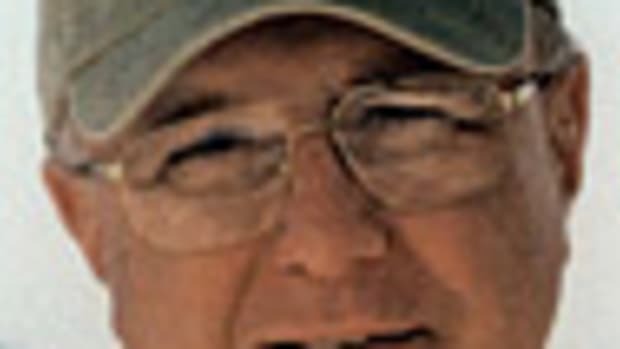 We did that years ago, catching nothing on our first six drifts and ready to call it a day before a shift from the Middle Race to Valiant Shoal produced two 25-pound stripers before sunset on our ever-shorter days. The setting sun offers us one more chance to cast into those rocks close to the marina on the way home. You can take 15 minutes or less to toss those lures into the structure, maybe catching a keeper bass, maybe preparing to move up into the Thames River, the waters just outside the river mouth a known collection point in November before fish begin to move upriver to Norwich for the cold months. 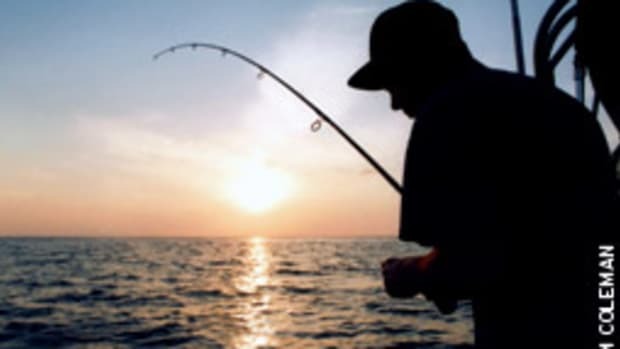 You may not know how many fish are there if your boat is not on the scene as the sun closes out a day, the clock ticking away to Thanksgiving, right around the corner.